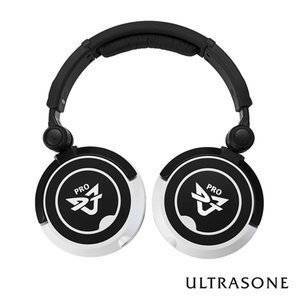 Ultrasone headphones DJ1-Pro: In cooperation with the most famous DJs, Ultrasone developed these outstanding pair of professional DJ headphones. Using a heavy duty 50 mm Mylar driver, the closed-back DJ1-PRO provides the most powerful music output in combination with the most advanced technologies. Equipped with MU-Metal shielding these headphones also meet the needs of DJs considering safer hearing aspects. In addition you will find useful accessories in the DJ1 PRO hardcase. The specifically designed hardbox will ensure a safe transportation and storage. Be the first who writes a review for: "Ultrasone DJ1-PRO"